It is the last year of junior high and Masaki (Nakayama Takuya), one of the most popular boys in school makes a shocking announcement. He will be immigrating to the U.S. at the end of the summer. He also states that he has fallen in love with someone in his class and wants to make his last wish come true before he leaves. This throws the class into turmoil and it transpires that five different girls all have strong feelings for him and see this as their one chance to express their love. 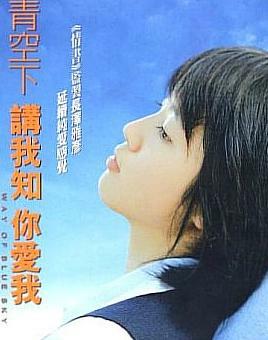 From Nagasawa Masahiko, the producer of Love Letter, comes Way Of Blue Sky, a touching, heartfelt story about young love and growing up. Also starring Morita Ayaka, Yuki Saya, Kurokawa Mei, Tabe Mikako and Nishihara Aki.